Observing the world from the high spots. Who lives three hundreds years?.. Yes, that's a crow. 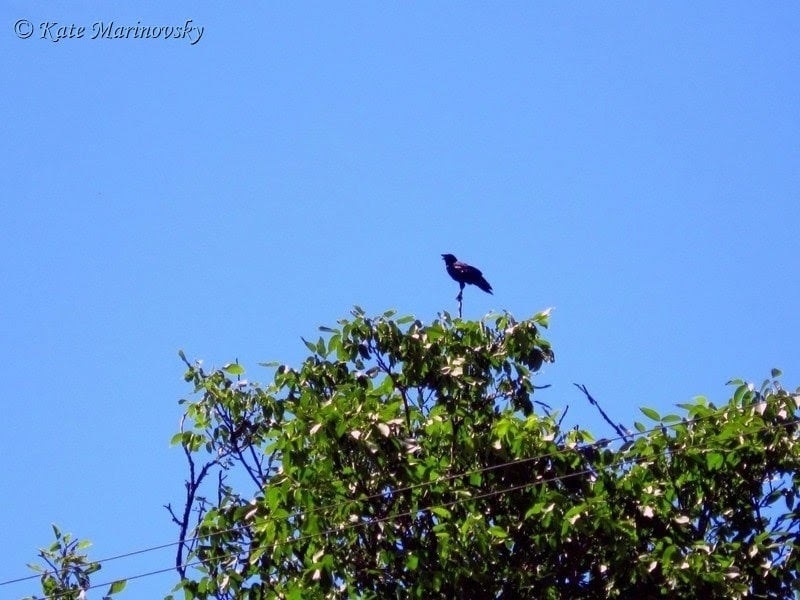 ☺ It is just a legend, but looking at the bird I can believe that crow has something mysterious. It is very clever and does not trust people. Crow's relatives, ravens, even captured the Tower of London protecting "The Crown and the tower". It sounds very fantastic but who knows?.. Taking the high tops of trees or gables they watch fleeting events of the world from their high spots.